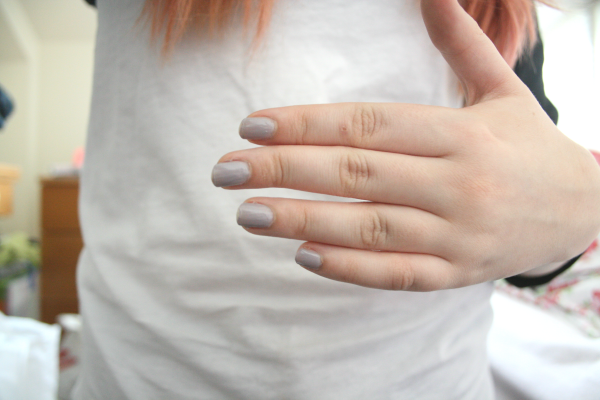 I love all things Topshop make-up, especially their nail polish. But this one really did disappoint me. I've been meaning to try these peel off nail polishes for so long, and last week I finally brought one after seeing this gorgeous shade. The colour is an elephant grey, which is so gorgeous and nothing like any of the other polishes I have in my collection. As much as I love the colour, the formula is very thin, which made it hard for it to become opaque. I painted 4 coats and still the polish is see through towards the end of my nails. I think this could be because the shade is so light, maybe the other darker polishes would have been better. As well as this, the formula is very streaky, but then it's completely dry it becomes a lot smoother and the streaks are not as obvious as before. I really like how the polish peels off. This is great for people who really hate using nail varnish remover. Towards the ends of my nails, the polish had started to curl over ready to be peeled off, which is a shame because it had only been on for a day. So you don't get much wear out of the polish before it begins to look messy. What I do really like is that if you wear a glitter polish over the top, you are still able to peel the polish off. This is great, as glitters are normally such a hassle to get off! Overall, I'm not the happiest bunny with this polish. I won't be buying any more of the Topshop peel off polishes, but I will carry on wearing this one as the colour is so nice. I will definitely be wearing glitter top coats over this, as it saves time trying to scrub the glitter off, when you can just peel it. 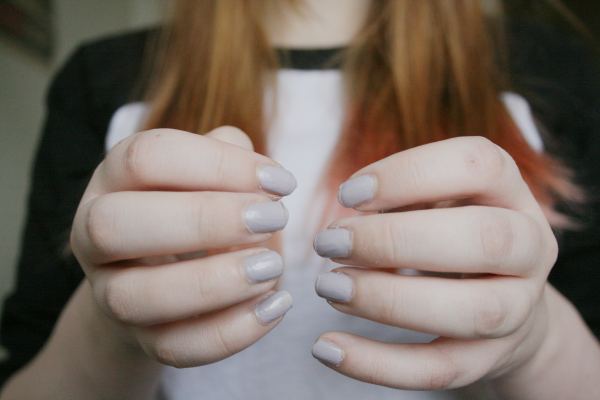 If anyone knows any nail polishes that are a similar colour to this one, please let me know! 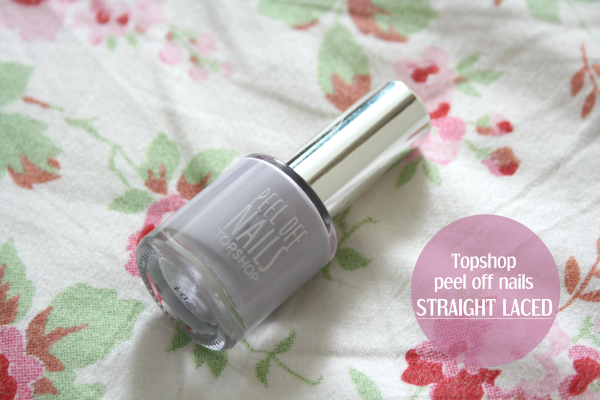 Also, have you tried these peel off polishes, what did you think? There used to be a Barry M colour really similar to this one but I can't remember the name! It's a shame that they don't work so well coz its a great idea in principle...hopefully another brand will bring out a better version!! I love the general idea of this, it's such a shame it doesn't live up to expectations!